Whenever a new medium comes along, whether it be to communicate or sell, our initial reaction is to apply the conventions of the old media to the new one and see what happens. Many of the first television broadcasts were simply radio programs performed before a camera. And our first stabs at ecommerce were dominated by online shopping malls that imitated their suburban predecessors. While a few still exist, they are by no means the model of current ecommerce. After 20 years, we still haven’t learned enough about ecommerce to get average conversion rates into the high single digits. The reasons are at least partly related to our insistence on applying old thought patterns to a new way of selling. Retailing used to be a relatively simple concept. You open a store, you advertise, shoppers visit your store and some buy. Awareness, interest, desire, action. While the purists will be quick to point out that we have left out a few details in that quick scenario, the point is that before online browsing and shopping, bricks and mortar retail was a relatively straight-line pursuit. And that’s the mind-shift that we are only just beginning to grasp. Versus regular retail, there are exponentially more tipping points, some on tangents to others, between online shoppers and their conversion. Each point is a minefield of issues that no retailer had to deal with until relatively recently, from the security of personal data to the ability of shoppers to flit from one store to another in mere seconds. 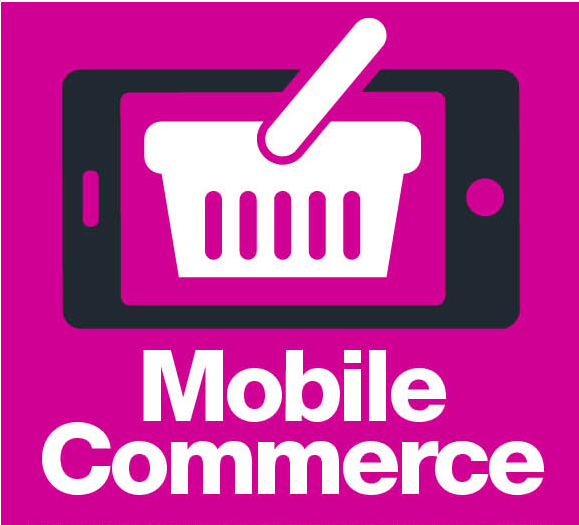 As if the old straight line of retail hadn’t been warped and splintered enough by ecommerce, mobile devices shifted our thought parameters yet again – even before we’ve really defined the ecommerce playing field. 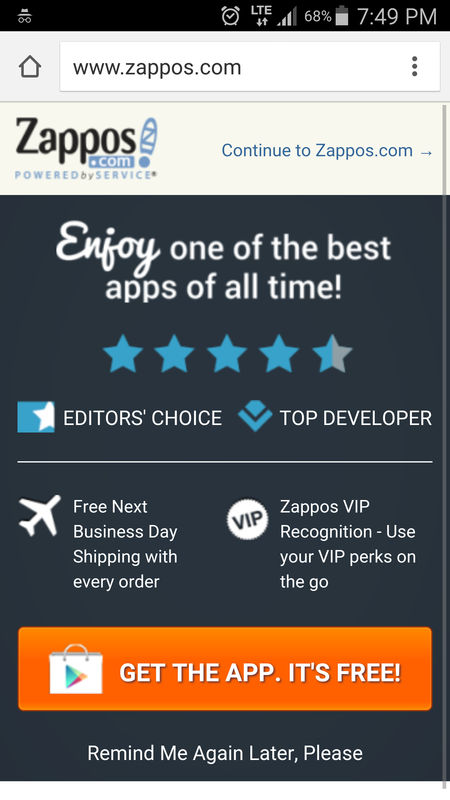 What Does All This Have To Do With Improving Your Mobile Conversions? First, the term “mobile devices” usually refers to tablets and smartphones. 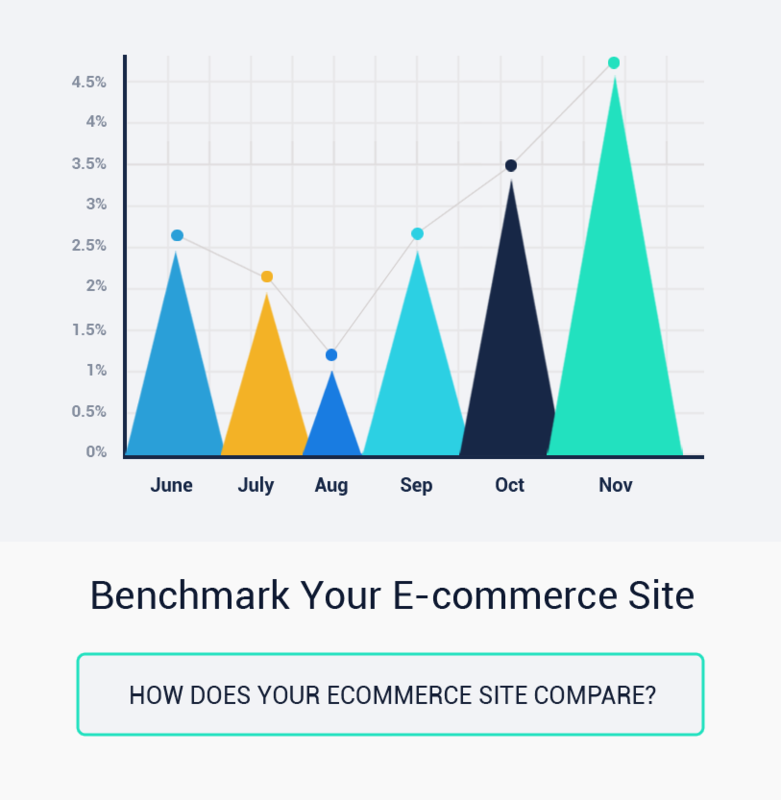 But the facts show significant differences between the two for ecommerce. How many times have you seen anyone comparing products/prices using their iPad in a store? 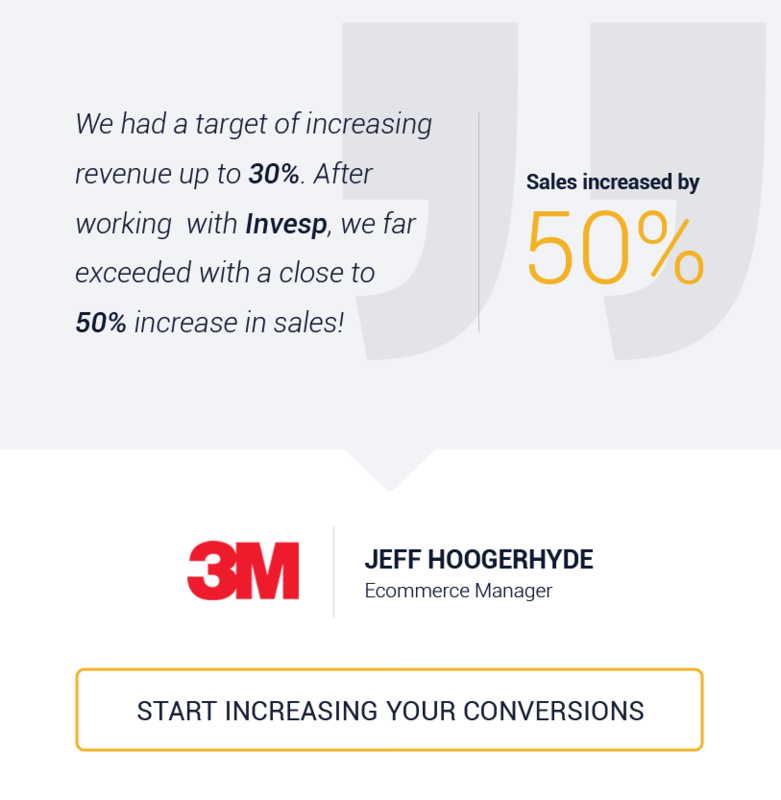 And there are big differences in their ecommerce conversion numbers. While annual ecommerce sales made with a tablet almost quadrupled between 2012 and 2015, they just more than doubled on smartphones in the same time period. Check the graph below from marketingland.com, shoppers do a lot of research with their smartphones, but relatively little buying when compared to tablets and PCs. So while we talk about mobile devices here, if we refer to using your mobile device “in-store” you can bet on that being a smartphone. Before you optimize your conversion rates on mobile devices, you need to optimize your thinking on how to go about it, and the differences between shopping on smartphones and tablets forces you to split your thinking even further. If we finally have the idea that we must reset our perception of retail conversions to maximize them online, then even newer perspectives are in order before we can optimize conversions for mobile commerce. Think of “showrooming”, the practice of shoppers visiting a bricks and mortar showroom to see a product and then using their smartphones to find a better offer for the same product at another store or online. 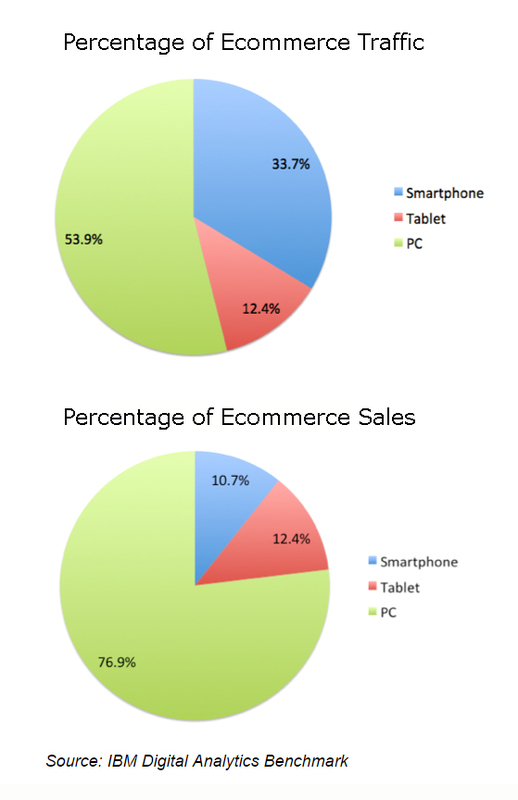 Unlike bricks and mortar and desktop ecommerce, we use our smartphones as part of a cross-platform buying process (as the pie chart above confirms). So optimizing for smartphone conversions means thinking of it as part of a multi-device approach to selling online. In a way, mobile devices get cheated when we determine the conversion rates we get from them. If we use them for research, and then buy on another device or in-store, then who’s to say the conversion in the minds of the consumer didn’t take place on the mobile device. the problem is that most analytics are not yet at the point where we can effectively track a prospect on a conversion path across platforms. But you can use tracking devices, like a Google forwarding phone number or similar phone number tracking, a coupon or discount code to help us get an idea from whence the consumer came. If shoppers use mobile devices for research, but buy on other platforms, then why not make it easier for them to do so? 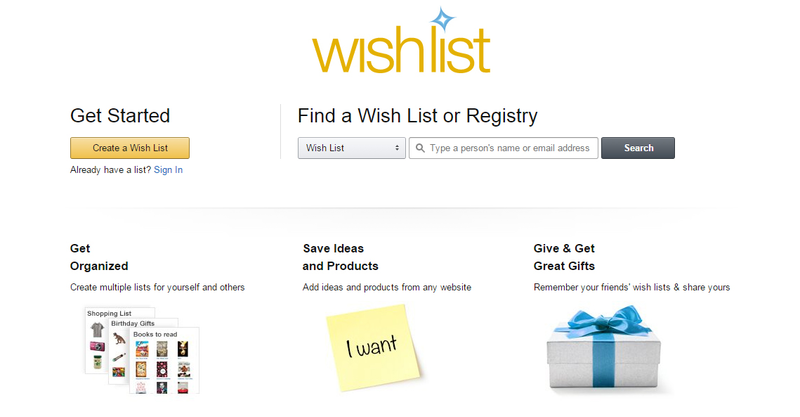 Allow them the option to save their shopping cart, create a “wishlist” or email their shopping cart. Considering your investment in a mobile app, it’s very tempting to put it to work and offer it at every opportunity. But consider the frustration that doing so could generate for smartphone shoppers if they get your app pop-up instead of the quick information they seek to make a purchase on your desktop or tablet site. 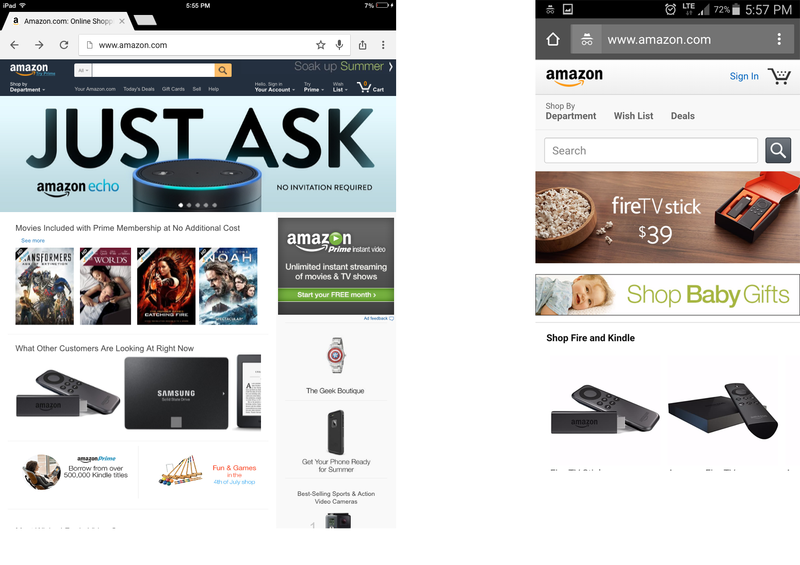 If there are significant differences in how shoppers use smartphones and tablets, don’t serve the same site on both devices. Consider that shoppers will access your site on their smartphone in a wide variety of surroundings and lighting conditions. Not only is the screen smaller, but it can be difficult to see. 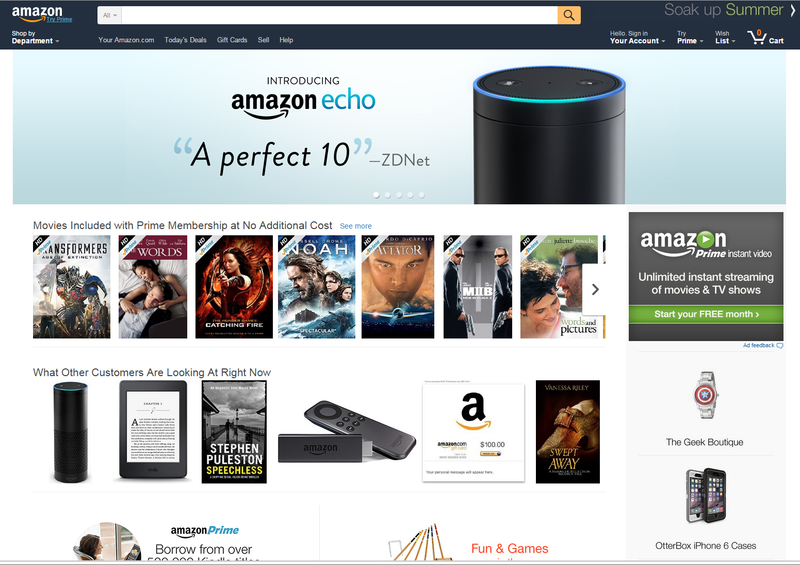 Check out the differences below in Amazon.com accessed through an android smartphone, iPad and desktop PC. This might be the most important shift in thinking you could make. Whether they are in your store, or someone else’s, devise ways, including instant savings, to capitalize on their whereabouts when they land on your mobile site. Mobile conversions include lead generation too. 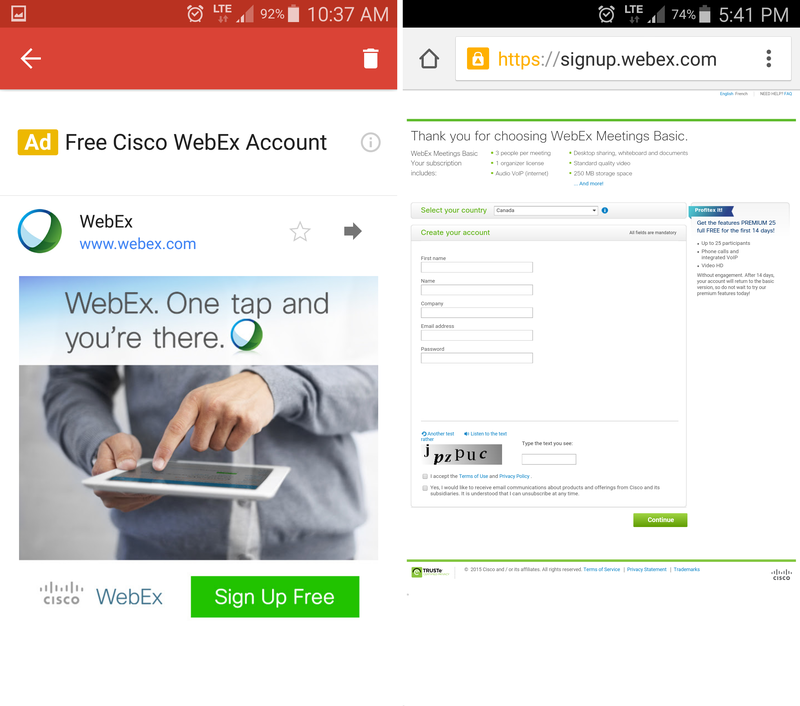 Webex niftily offers a crisp, bright, mobile-optimized email to encourage new account sign-ups. Brilliant idea. But imagine the letdown when, after taking the call-to-action, Webex sends you to what appears to be a desktop landing page that needs zooming and swiping to read and use. When we see a mobile-optimized page or email, we get all ready for a mobile-optimized experience. If it doesn’t happen, the disappointment, and urge to leave the conversion path, is greater than if we had not been given a mobile-optimized page in the first place. That’s the overriding point. 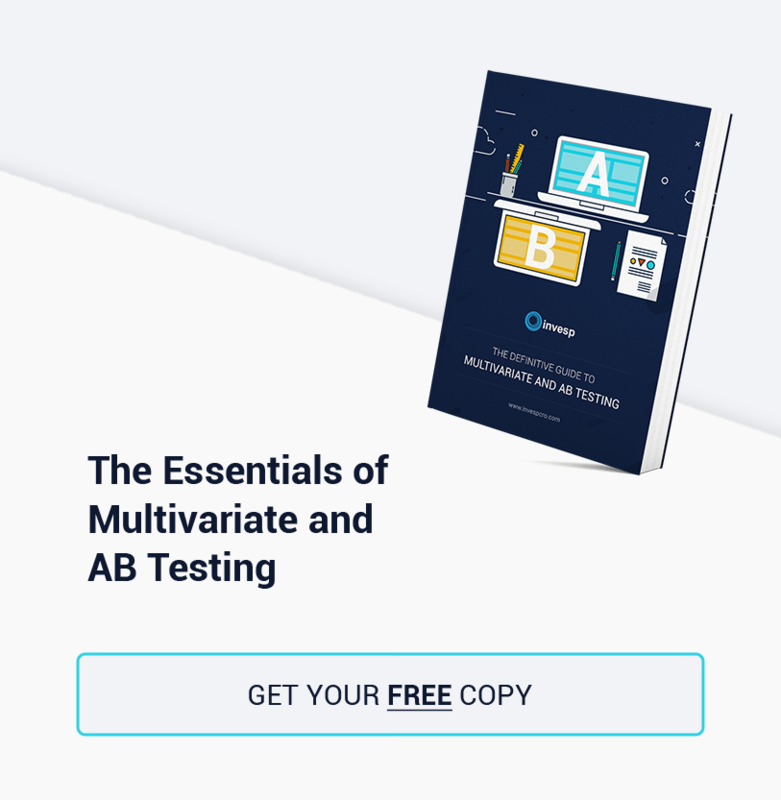 Check the data, do your research and don’t apply the conventions of other forms of converting, even other forms of online conversions, to your mobile conversion optimization. Then test accordingly.